Chiropractic is the Science, Art, and Philosophy of restoring neurological and mechanical function to the body by removing nerve interference. Nerve interference occurs when the signals along the nerve path have become compromised, often by fixations or misalignments of the bony structures that the nerves pass near or through. These misalignments are called "Subluxations" (a "luxation" is a complete dislocation), and the fixations are where the movable joints have become "fixated"; that is, having impaired movement due to the mechanical misalignment, soft tissue splinting, or degeneration. Together these make up the "Subluxation Complex", and will effect the biomechanics of not only that particular joint, but also others in that chain of movement as well as the soft tissue structures in between. Abnormal biomechanical function will cause abnormal stress to the body, and the effected joints will begin to break down and degenerate. 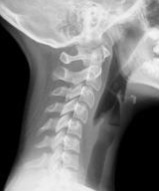 Chiropractors use a variety of techniques to realign the affected bony segments, restoring proper biomechanical function and relieving the nerve interference. Our brain must constantly monitor all the activity of the body, not just how we interact with our external environment, but the responses of our internal environment (digestion, breathing, heartbeat, response to stress, hormone secretion, etc.). When the nerve pathways are opened up, better communication between the brain and end organs are more efficient and optimal function is restored. 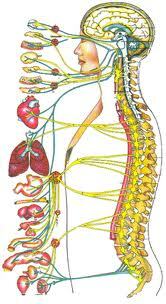 Freeing up nerve interference, allows for faster communication between the brain and body, and eases pain firing. Its not about the "crack"! When a Chiropractor Adjusts a misalignment, we first determine which particular joint is involved, which way it has subluxated, and which direction (in three dimensions) the adjustment needs to be made. Often (but not always), an audible sound can be heard. This is incidental to the adjustment, and not the bone cracking, breaking, or slamming home. It is simple physics-- Boyle's gas law in fact-- where volume, pressure, and temperature are related. The joint capsule is a closed system and since the body temperature remains the same, when the volume of the joint space increases, the pressure within the joint decreases enough for gas (CO2 and Nitrogen) to come out of solution. This "popping" sound is called cavitation, and is the same as when you open a carbonated drink. Each synovial joint has a capsule around it which contains nerve endings that monitor movement, pressure, tension, etc., which it communicates to the brain so that it can relate to the body's place in space-- this allows you to coordinate movement, keep your balance, and interact with the outside world. The vector of the adjustment isolates a particular set of nerve endings and the thrust activates it. 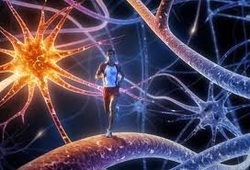 When activated, the nerve impulse travels to various portions of the brain which interprets the input, and sends signals back down to the muscles in that area, changing muscle tone and retraining the body and correcting the biomechanical fault. 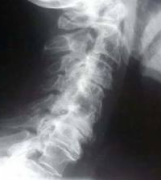 Sometimes this process needs to be repeated over time to retrain the body, as in the scoliotic spine to the left. Much like practicing a musical instrument-- learning the correct notes takes some practice, but playing the wrong notes requires even more practice to unlearn the incorrect pattern and relearn the correct pattern. The nerve supply transmits information to and from your brain and all other parts of your body... not just motor control to your muscles, but to all the organ and endocrine systems as well. Sympathetic = "fight or flight"
This branch of the nervous system controls heart rate, respiration, endocrine function and motor control, so that when in danger you can fight or run. It shuts down other functions that would slow you down such as digestion. This branch does the opposite by directing energy toward those systems that are needed for proper digestion and repair of the body, and calms down the heart & breathing. An imbalance between the two leads to breaking down of the system. Under prolonged stress, the hormones needed for fight or flight can overwhelm the body's repair mechanisms, as the body will continue to try to get you out of perceived danger. Adrenal fatigue, emotional burnout, and declining immune system can be the result. Every joint in our body has nerve receptors that send signals to the brain with every movement we make. From our foot bones, hand bones, spinal segments, even our visual input and vestibular apparatus all send nerve signals to the brain so that we can walk, ride a bike, balance on one foot, put food into our mouth, and so on. When one undergoes trauma (a fall, auto accident, whap your head on the door, etc. ), the brain is bombarded with a huge amount of neurological input about the area that was stimulated, which can "reset" what the brain considers to be "normal" on position and function-- even though biomechanical function is not normal. Take whiplash, for example. As the head is "whipped" around, the brain is bombarded with information from the nerve receptors about it's place in space. After the swelling and soreness goes away (assuming it is not treated in a timely fashion), there will be conflicting information coming into the brain and disorientation and incoordination of movement can result. 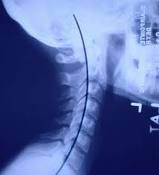 And of course, the abnormal biomechanics will cause undo wear and tear on the spine and degeneration will set in, leading to loss of function and quality of life. Proper (and timely) Chiropractic treatment can restore the biomechanics, improve neurological function, stabilize the spine and slow down the degeneration. The x-rays below will give you an idea of the relationship between structure and function. Before Chiropractic treatment and after. Biomechanics restored-- no degeneration.